Anything that's good for the inside is arguably even better for the skin, including my newest skincare discovery: Manuka Honey masks by Lanocrème. When it comes to skincare, I like a good balance of natural ingredients, which I think my skin absorbs better, and science, as the idea that research has been done and I will hopefully get results tailored to my skin type appeals to me. Of course, everyone's skin is different and sometimes it takes time trialling a variety of products to work out what's most comfortable, and works for your skin. Lanocrème's paper Manuka Masks is ideal if you're looking to hydrate and rejuvinate your skin. Full of hyaluronic acid and collagen, it helps with anti-aging, firming the skin. Although it is a 10 minute treatment, I think masks deserve a full-blown pampering session and are one of, if not the most, luxurious step in your skincare routine. So, how can you not get comfortable, and relax while applying a sheet saturated in ingredents such as honey, a blend of oils ranging from almond to argan, and cucumber and watermelon. Sealed in foil sachets all the goodness is locked in and is everything but dripping off when unpackaged. Apply it to the face matching the holes left for your eyes and mouth. Instantly, your skin will feel cooled and mousturised. Lie back and meditate while the mask does its work. This mask is ideal for anyone with dry and dehydrated skin, and also normal skin like mine, to give it a boost of nutrients and prevent any of the above concerns. Personally, I believe even those with sensitive skin could use it as it is not harsh at all. However, take note of the oils and otheer ingredients if you have allergies. 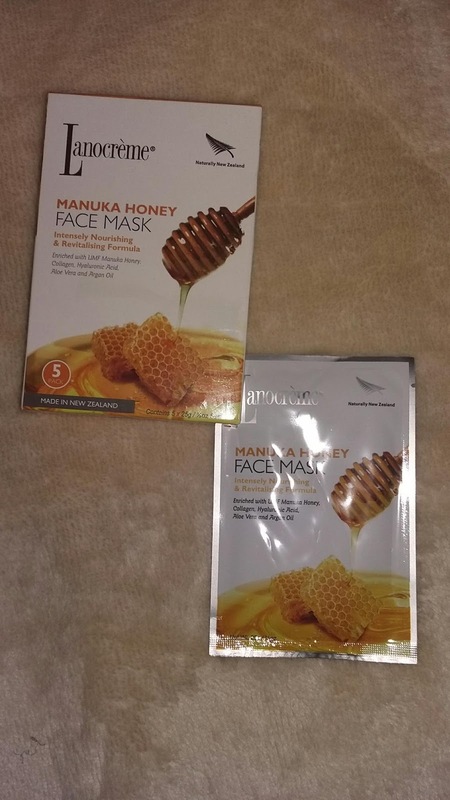 As someone who likes to look after my skin, but in the easiest way possible, these masks are perfect because they're not messy and you can use them as and when you have time. As the depths of winter approach I can't wait to use more and keep my skin protected.